1. Dr. Satwinder Singh was awarded with ISTE Section Best Teacher Award -2014 by Indian Society of Technical Education, New Delhi. 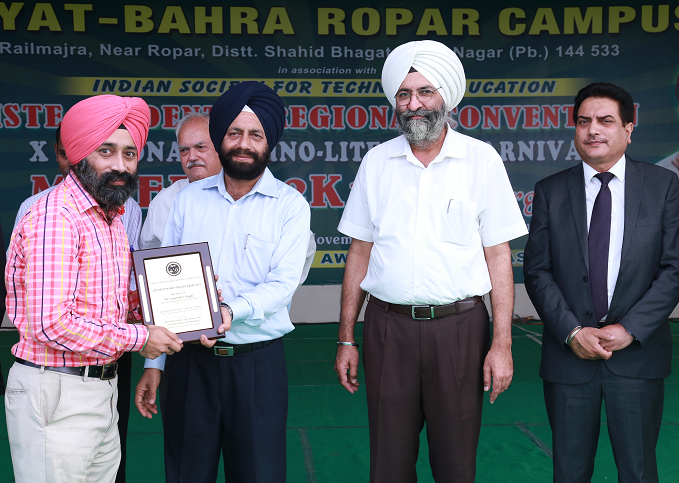 Award was conferred by Dr. Buta Singh, Dean Academics, Punjab Technical University, Jalandhar on 31st October 2014 at Rayat Institute of Engineering & Info. Tech., Railmajra, Nawanshahr. Award was presented to recognise his services in the field of technical education. 2. Dr. Kanwalvir Singh Dhindsa, Associate Professor, Department of CSE & IT, Baba Banda Singh Bahadur Engg. 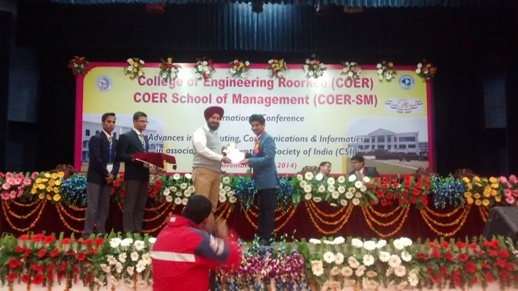 College, Fatehgarh Sahib (Punjab) has been awarded with ‘Best Ph.D. Thesis Award’ in International Conference on ‘Advances in Computing Communications & Informatics’ held in association with Computer Society of India (CSI) organized at College of Engineering, Roorkee (Uttarakhand) from November 28-30, 2014. 3. IIT Bombay Spoken Tutorial online test has been successfully conducted @BBSBEC campus in the Computer Centre of CSE & IT Dept. on 3-4th Nov. 2016. 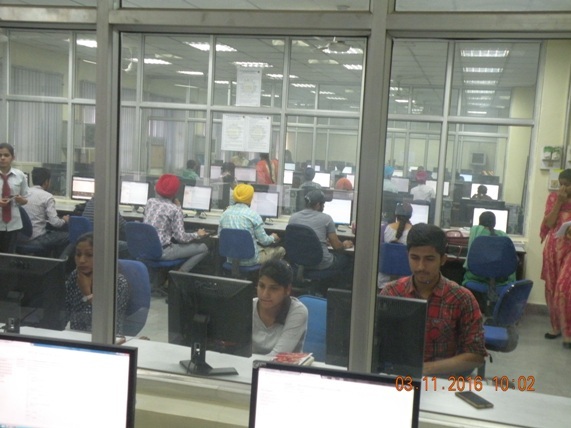 Students from all branches (CSE, IT, MECH, ECE, EE) appeared for the online test for free softwares (that are part of IIT Bombay FOSS – Free open-source software Project). Training for FOSS softwares the training for which was given by faculty of all departments in the college in this semester from July 2016. This online test provided platform for the students to test their subject knowledge and skillset, as online test was similar to the test environment of MNCs. Objective type test was of 45 mins. & was conducted for softwares such as C++, Latex, SciLab. Overall, 800 students of various branches of 3rd sem., 5th sem. and 7th sem. participated in the two-day event. Faculty coordinators, Invigilators & staff made great efforts for the overall conduct and training of the softwares, the training for which was given in this semester (through slides and video lectures available from IIT Bombay). Many students from various branches, who cleared the online test, were able to download their certificates directly from spoken Tutorial website. Principal BBSBEC, Major Gen. GS Lamba told that IIT Bombay programmes will be conducted more in future & congratulated faculty and staff for their sincere and dedicated efforts in making such initiatives really worth-while and successful.